I double yes this sentence! 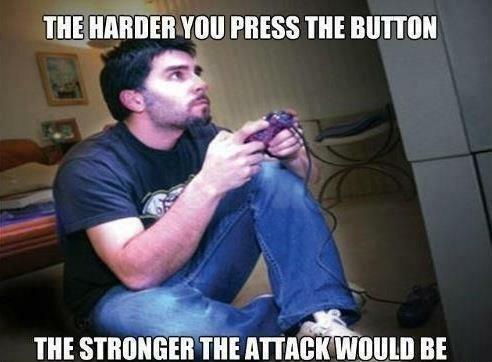 I believe that elevators and crosswalks work on exactly the same principle…..
Actually, many video game controller buttons are pressure-sensitive and can tell how hard you’re pressing them. I first noticed this on my PS2. The jetbike would literally go faster if I pressed the button firmly rather than just barely push down.